Pearl Digital Media Entertainment is a production and computer animation company creating content for innovative sound and vision experiences across a range of digital platforms. Engaging people through events, advertising, film, television, online and mobile, Pearl DME also works in collaboration with our partners for installations and interactive displays using cutting edge immersive technology. 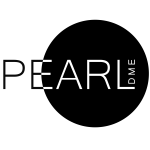 The Directors of Pearl DME include William Rockall and business partners including the directors of the Free Holdings group.The Free Holdings directors David Johnstone and Lord Stanley Fink are excited to have partnered with Pearl DME to help ensure their success and bring them into a growing group of companies covering a wide range of global brands in the premium luxury, lifestyle, PR and marketing, media, events and charitable sectors. © 2019 Pearl-DME All Rights Reserved.